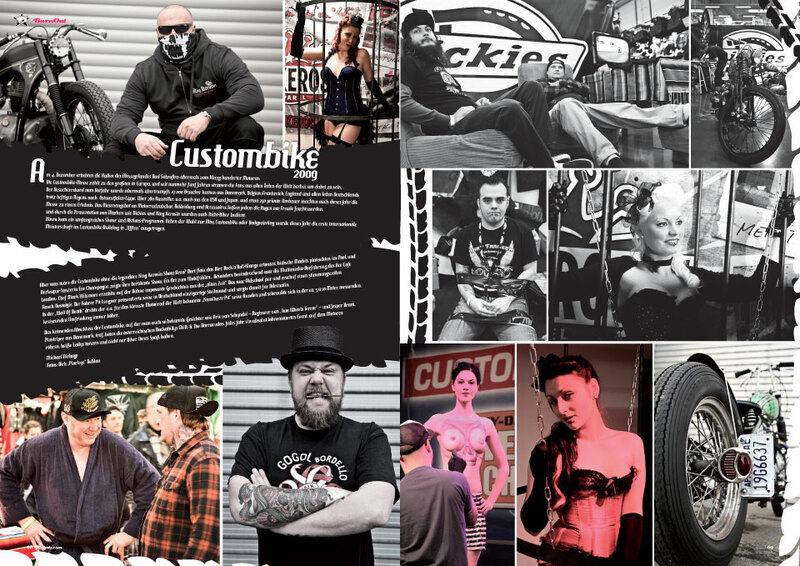 Just learned that I was featured in German Kinkats Magazine along with the rest of the merry bunch from Custombike 2009. Notice the Gogol Bordello t-shirt. Best Gypsy Punk Band auf dem planet. This entry was posted in Kustom Kulture, Press and tagged custombike, featured pinstriper, jesper bram, kinkats, magazine, pinstriper, pixeleye. Bookmark the permalink. Comments are closed, but you can leave a trackback: Trackback URL.